VATICAN CITY (CNS) — With psalms praising the marvels of God’s creation and prayers begging God’s help to end the selfishness that destroys the earth and harms the poor, Pope Francis led vespers for the Day of Prayer for the Care of Creation. Last year, Pope Francis asked Catholics to begin marking the day of prayer, an annual event already observed by the Orthodox churches. 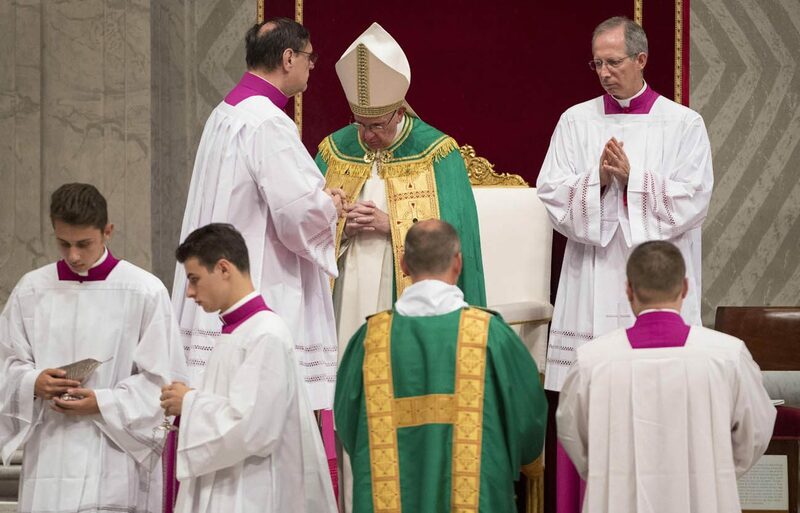 In a sign of growing Christian concern for ecology, Orthodox clergy from Italy, as well as Anglican and Lutheran leaders, joined the pope for vespers. As he did last year on the day of prayer, Pope Francis asked Capuchin Father Raniero Cantalamessa, preacher of the papal household, to give the homily during the prayer service. The less selfish a person is and the more a person is mindful of the needs of others, the Capuchin said, “the more that person is truly human” and truly acting in the image and likeness of God. “The sovereignty of human beings over the cosmos thus does not entail the triumphalism of our species but the assumption of responsibility toward the weak, the poor (and) the defenseless,” he said. “The love of poverty and love of creation went hand in hand for Francis and shared a common root in his radical renunciation of wanting to own anything,” the preacher said. “What is it that produces the greatest damage to the environment and simultaneously the misery of a great number of people if not the insatiable desire of some to increase their possessions and their profits disproportionately?” the Capuchin asked.